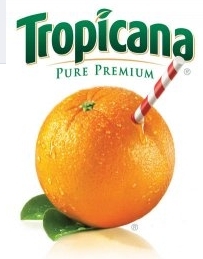 This was posted on the Tropicana Facebook page today. We are SO sorry for all of the issues that some of you experienced during our Deal of the Day yesterday. Our server picked an VERY bad day to crash…unfortunately resulting in a bad experience for many of you. We want to make amends. If you participated and points were deducted from your account here is how we are resolving the issues. Were you unable to provide us with your mailing address to receive your coupon? An email will be sent to you on 5/28 asking you to confirm your mailing address. Your coupon should arrive within 10 business days. Were you unable to redeem your Deal of the Day reward? If you have not redeemed your Deal of the Day reward by 2:00 pm CST today, 9 points will be credited to your account for you to use on a reward of your choice. Our server is up and running once again. We apologize and hope that you will enjoy your coupon and free reward with this correction. Thank you! Next post: How long will your favorite food or beverage stay safe and tasty?